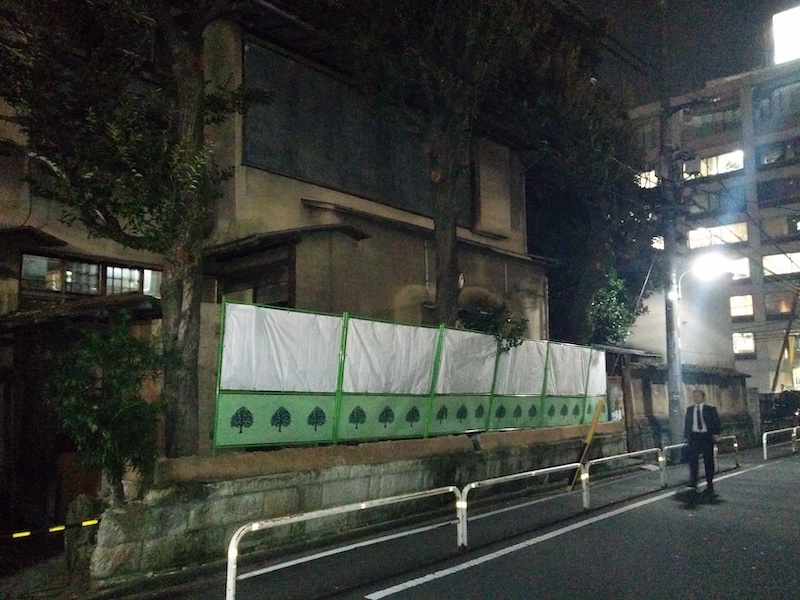 Recently, we were near Gotanda Station on the Yamanote Line and decided to check out an abandoned property that’s been in the news lately. This piece of land, which still has an old-style Japanese inn (ryokan) sitting on it unused, is about five minutes by foot from the station, overgrown with weeds and other vegetation. 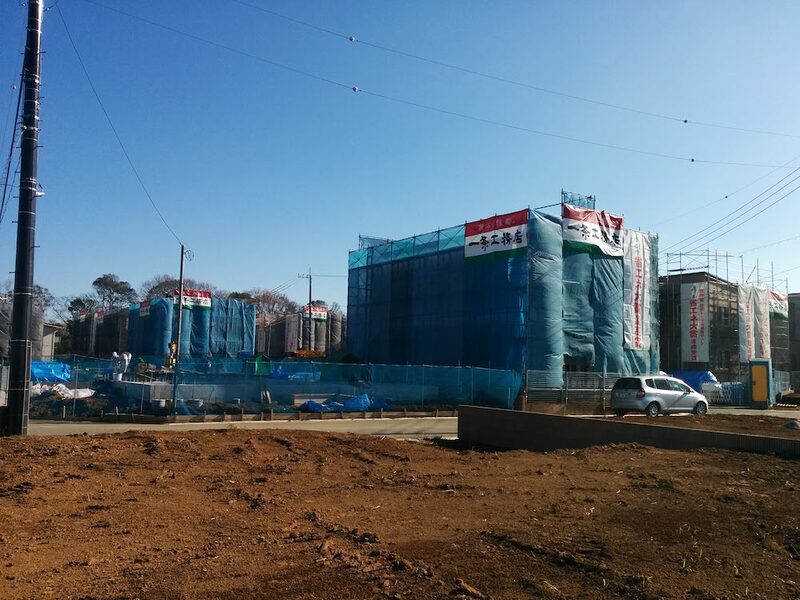 It covers 600 tsubo, or almost 2,000 square meters, and thus is worth a lot of money. Many developers would love to get their hands on it. One, Sekisui House, thought it had. Almost 2 years ago it signed a contract with a company that claimed it represented the owners, and Sekisui transferred ¥6.3 billion to the company before finding out that the company did not represent the real owners. Since then there have been arrests and stories in the media about this particular instance of jimenshi (real estate swindle), but so far the money itself has not been recovered, and some of the main players may have gotten away.